Size of this PNG preview of this SVG file: 800 × 533 պիքսել. Այլ թույլտվությաններ: 320 × 213 պիքսել | 640 × 427 պիքսել | 1024 × 683 պիքսել | 1280 × 853 պիքսել | 2100 × 1400 պիքսել. Հեղինակ See File history below for details. 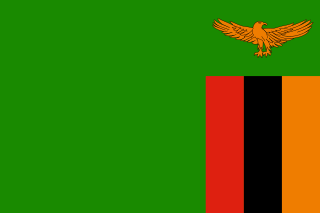 The flag of Zambia according to the correct Pantone colours.